Over the years, I have ridden a number of different electric bikes and scooters; mostly in Asia during factory tours. They are usually entry level mountain bikes with a battery powered motor attached, and the handling is poor (if not downright scary), braking non-existent and quality/durability questionable. The Specialized Turbo is none of those. I initially had a chance to try out a test bike at a product launch over a year ago. It was a very polished looking unit, with an integrated battery pack and quality parts. I came away from my 20 kilometre run very impressed. Pedelec - This is a true electric bicycle. The power assist only works when you are pedaling, meaning the bike cannot be propelled by the motor only. 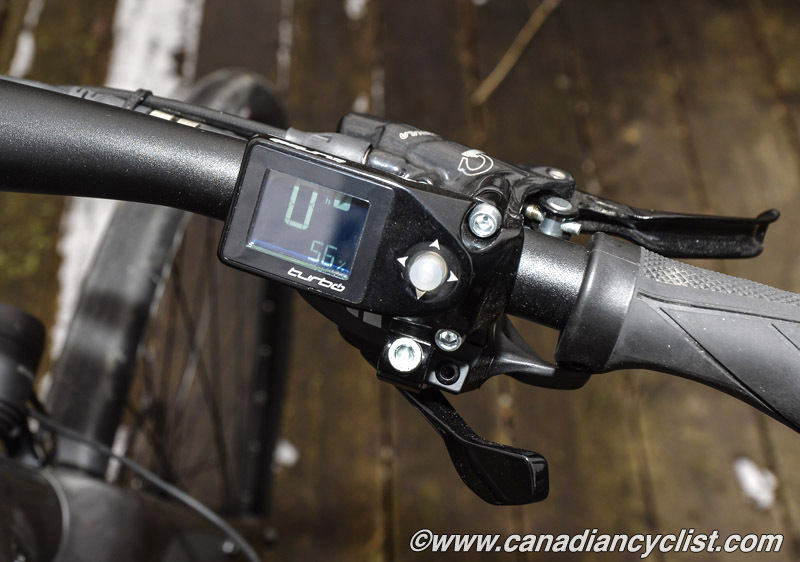 The Turbo sold in Canada is a pedelec, with the electric assist limited to a maximum of 32 kmph - if you go above that speed the additional effort comes from the rider. This is mandated by law because if the assist goes to higher speeds then it is considered a motorized vehicle, requiring a licence. Electric scooter - Sometimes also called an electric bike, which can be confusing. While there are pedals, the machine can be propelled strictly by the motor using a throttle. The Turbo sold in the U.S. and Europe does have this capability as an option up to approximately 20 kmph, and above that is strictly a pedelec, although the power assist goes to 45 kmph. 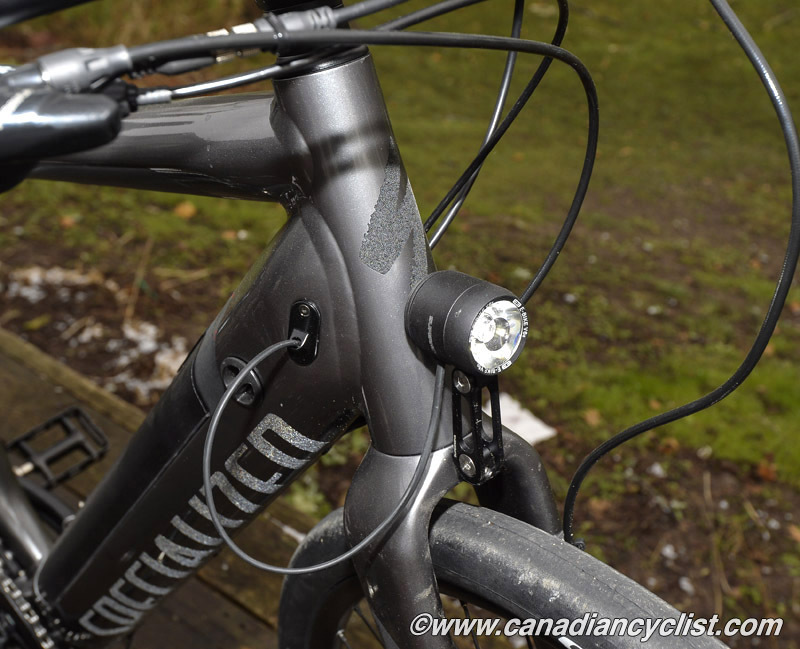 So, the Turbo (and higher spec'd Turbo X) that are sold in Canada are true pedelecs, and can be used on bike paths and in bike lanes. While many cyclists look down their noses at power assist, it actually makes perfect sense for commuting or recreational riders. I know of lots of people who don't commute by bike because they don't want to show up at work all sweaty and out of breath, sometimes because of distance or obstacles such as hills. For the recreational rider, a pedelec can extend the range they can cover, or allow them to keep up with fitter or younger riders. Anything that encourages you to ride more is a positive in my book. And make no mistake; you cannot avoid putting in some effort on a pedelec. It may assist you on a climb, or allow you to maintain a higher speed, but you still need to pedal. 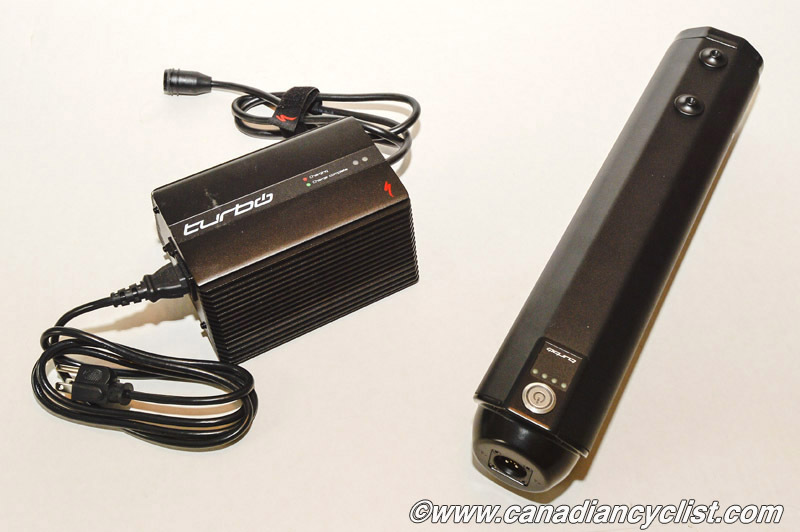 Turbo - This is the full power setting, which can provide up to 750 watts of power assistance. The way in which it works is rather interesting - the torque metre in the motor adjusts the power output based on how much effort you are putting out. So, the harder you push (for example, climbing a hill), the more power it provides to enable you to maintain speed. This continues up to 32 kmph, at which point the power assist stops providing extra energy. Eco - you can set the assist from 10% to 70%, to give yourself a better workout or to extend the battery life. The system automatically switches to Eco at 30% assist when the battery charge drops to 20% remaining. No Assist - the motor provides no support. The motor will automatically switch off when there is only 3% charge left, but can keep the lights running for 2 more hours at that point. You can switch quite easily between the different setting by toggling the joystick. The first few times you ride with power assistance can be a little disconcerting. It almost feels like a surge of extra power when you press on the pedals to start. However, once you get riding all you really notice is that you are using less effort then normal to maintain speed or climb a hill. 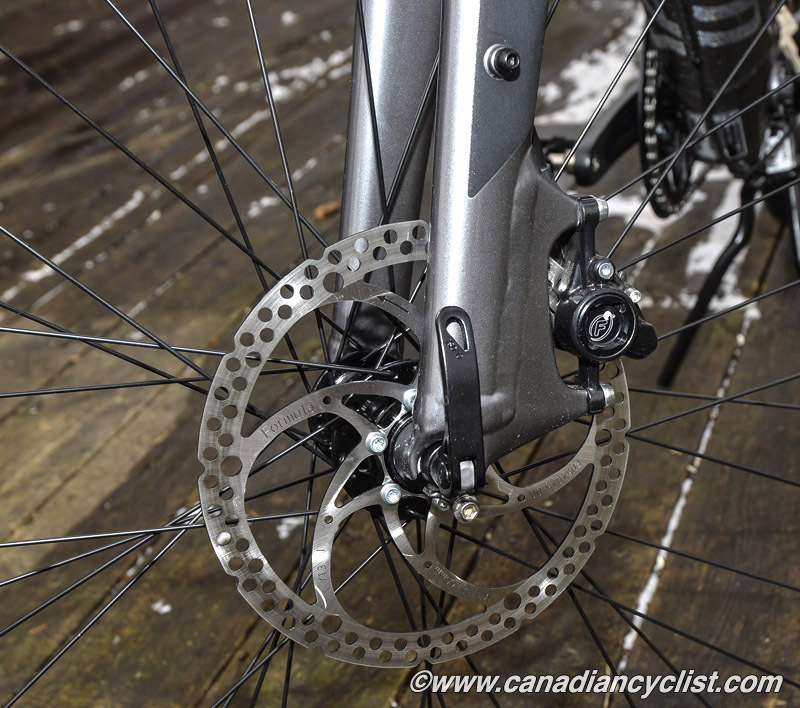 The power comes from a 250W motor (Go SwissDrive) built into the rear hub. 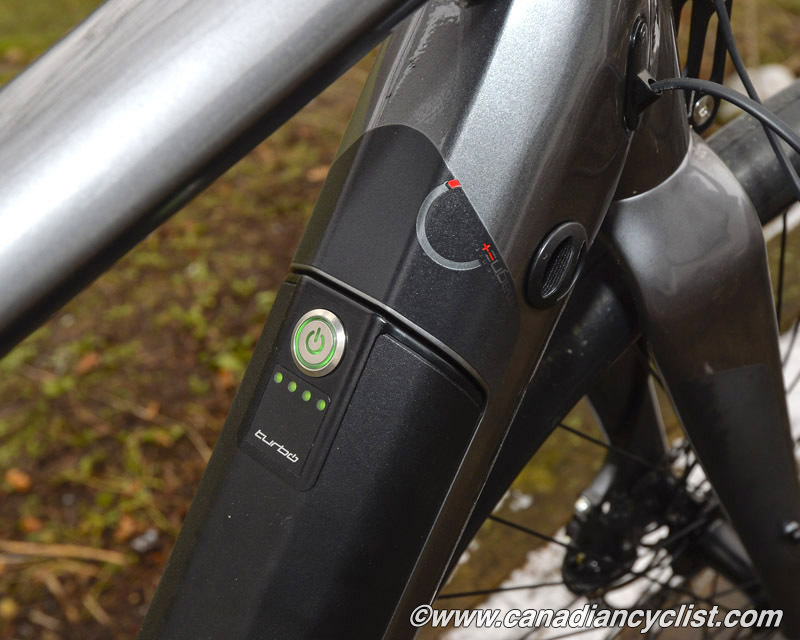 The battery is integrated into the downtube, in an extremely elegant way, with a button at the top to turn the power on and off. To charge the battery you can plug the included charger in while the battery is in the frame or remove the battery. The weight is sub-50 pounds, which is impressively light for an electric bike with a motor and a substantial Lithium Manganese battery. The range is estimated at approximately 50 kilometres but, of course, that depends heavily on the terrain and whether you run it in full Turbo mode the entire time. I found that on a 20 kilometre round trip in Turbo mode - mostly uphill on the way out and downhill back - I used up a little less than 50% of the charge. The Regen puts enough resistance on the wheel that I probably wouldn't consider using it except on long downhills. Charging takes about two hours. I rode the Turbo, which is the rigid frame version. 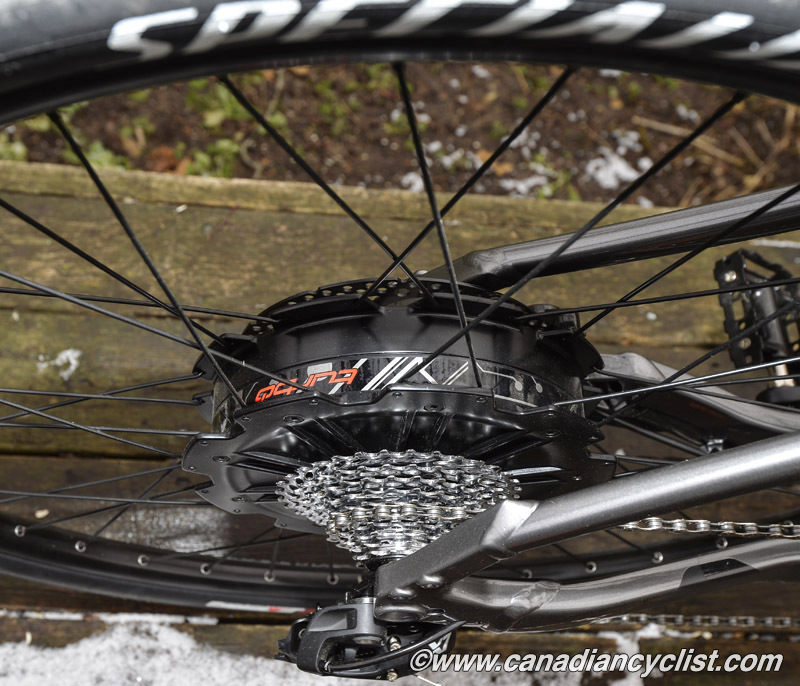 It has an alloy frame and fork, Formula C1 disc brakes, SRAM X7 derailleur (rear only) with a 48 tooth alloy crank and Specialized Electrak Armadillo tires - low rolling resistance, puncture resistant slicks. 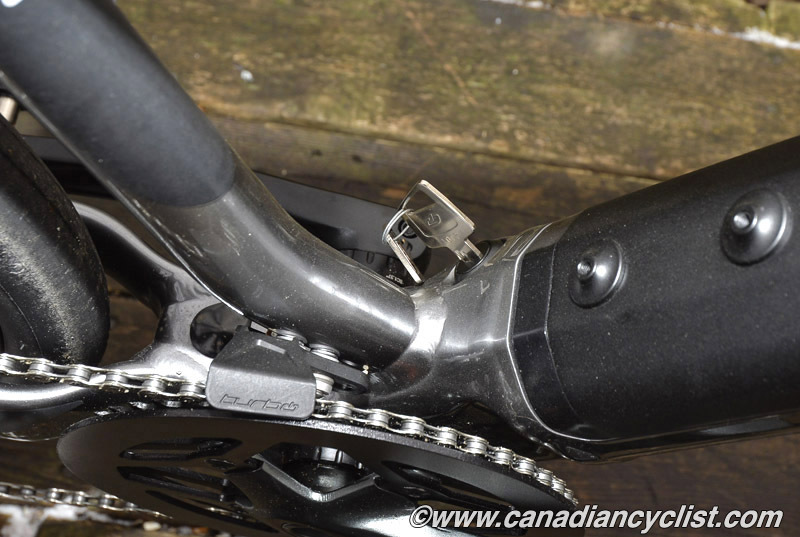 The Turbo X is essentially the same, but adds RockShox Paragon 50mm suspension fork. 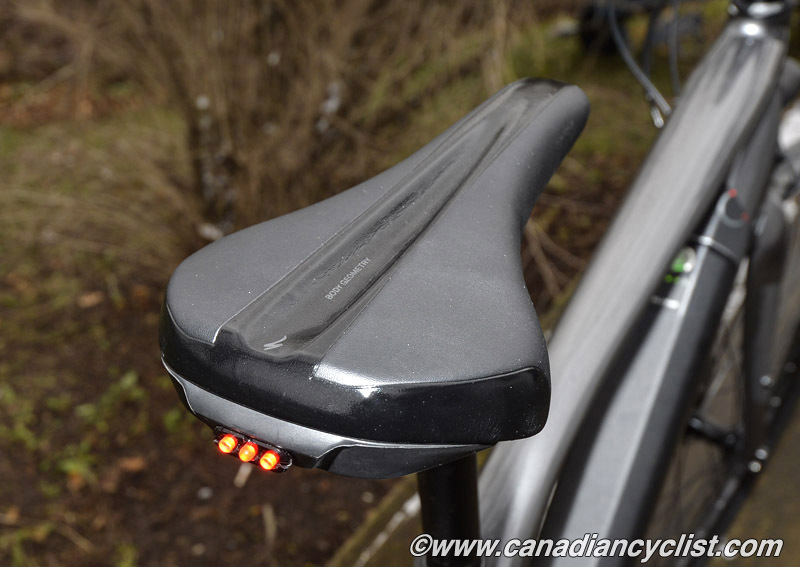 Both models also come with built-in front and rear lights. The base Turbo retails for $4179 and the Turbo X adds $310 to the price. Unlike the aforementioned Asian E-bikes, the Turbo is a high quality build and spec, with a price that is not out of line - anyone who used it to commute could easily recoup the cost within a year. While it doesn't offer the handling of a performance bike - the momentum of that extra weight is noticeable in higher speed cornering - the Turbo is stable, well balanced and up to the task of handling traffic. Besides a rack, the only thing I might suggest is a suspension seatpost (given the state of many city streets). 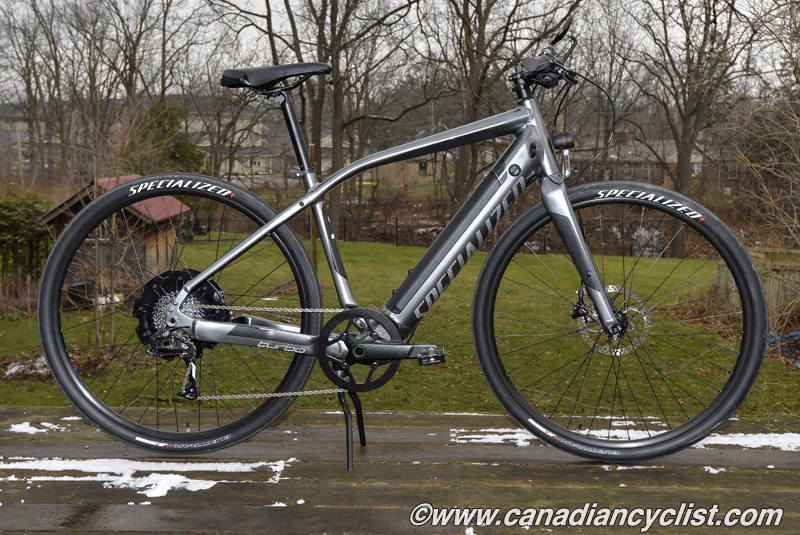 The Specialized Turbo is a well designed and affordable option for any commuter, and a viable alternative for recreational riders looking to extend their cycling activities. Available at select Specialized dealers.